Title: Hopkins / Bristow Adams. 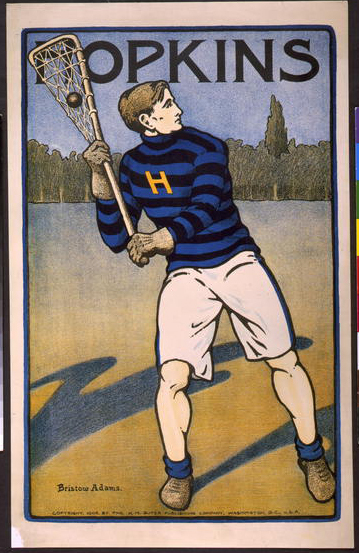 Summary: Hopkins student playing lacrosse. Promotional goal: U.S. K3. 1905. Copyright by the H.M. Suter Publishing Company, Washington, D.C., U.S.A.